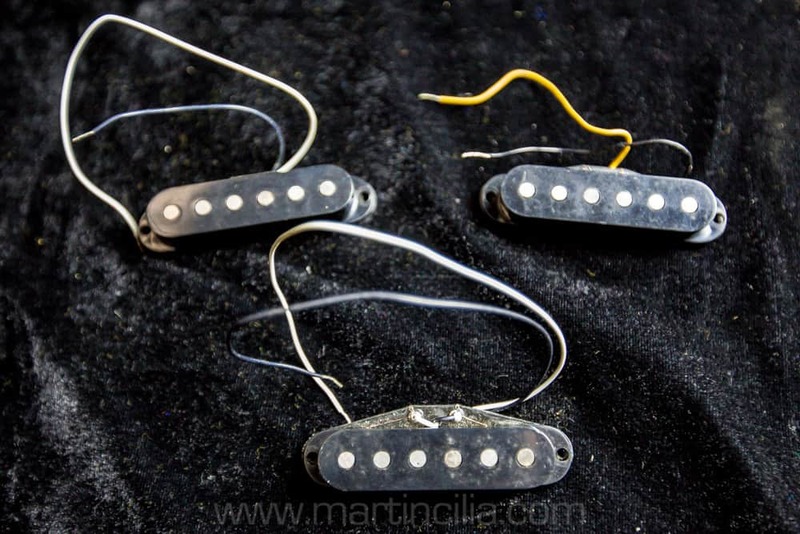 HomeStoreGearFender Stratocaster Pickups and covers – 70s / 80s. 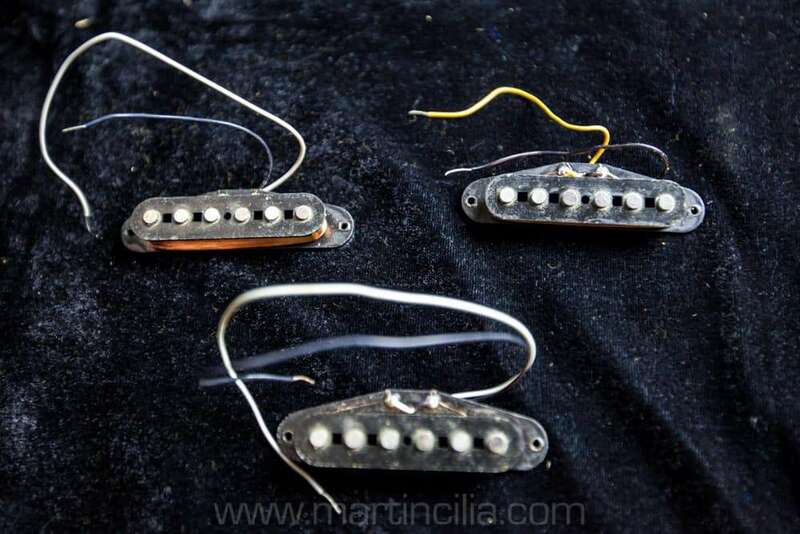 Here is a set of late 70s / early 80s Fender Stratocaster Pickups. 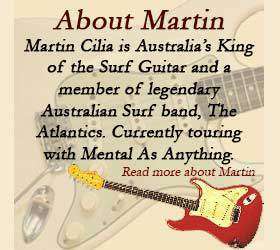 5.7k, 5.4k and 7.6k. Original windings and they come with the original black pickup covers.